Dean Yeagle - Caged Beagle Productions, Inc. Designing Mandy Dean Yeagle tells all in this revealing DVD on designing Mandy. Learn about what makes Mandy the woman she is. Learn the tricks to making beautiful female faces as Dean takes you through his processes on all areas of Mandy¹s facial appeal. Dean also covers posing and gestures, abstract shapes for design, and drawing and illustrating elegant female anatomy! 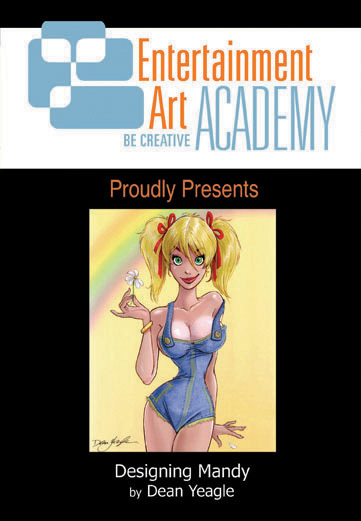 After watching this DVD you will have a great understanding on what it takes to illustrate a beautiful pin up girl. To buy this DVD, please click HERE.